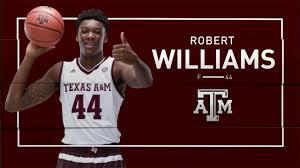 At least one thing became apparent to me on Celtics Media Day regarding Celtics rookie Rob Williams - he is easy to like. Apparently just prior to his interview, he asked if he could drink the Gatorade in front of him, and someone in attendance told him that it was just for show. Rob seemed nervous at the start of the interview, but became more relaxed as things proceeded. When asked about working with, and observing, his teammates, Williams commented that he was "noticing the consistency more than anything". That will be the key for Robert in determining how much floor time he will see in his first year in the League. He is a 6'10", 240-pound package of talent. His wingspan is close to 7'6", and he has a well-deserved reputation as a defender, rebounder and rim protector. He has been working on his free throw shooting, mid-range offensive game and handles. If Robert can improve on his offensive game as the season progresses and contribute on a consistent basis, he could definitely have an impact on the team's success later in the season. Rob had a simple answer when asked about his role with Boston - "Just trying to help in any way possible (pause) - in any way possible." The Celtics just don't have anyone else on the roster just like this young man. He just may be the rim protector Boston has been looking for. At the very least, I see him in a role similar to Semi Ojeleye as a rookie. Semi got significant minutes based almost solely on his defense. Williams may see reasonable floor time just for his rebounding and rim protection. He slid in the draft to the right team.